What’s more, the space has become crowded over the past five years, when 150 new meal kit companies packed the competitive landscape.1 And while the reality of challenging margins and market performance may often seem more roller coaster than revenue engine, consumer demand continues to drive competitors from varied segments, including grocery chains and Amazon, to catch meal kit mania. As David Sprinkle, research director for the market research publisher Packaged Facts, pointed out: "The meal kit market is highly dynamic and prone to fluctuations, with the top meal kit providers falling in and out of favor since their introduction in the past few years.”3 As a result, major retailers are paving the way to reach wider markets with acquisitions of meal kit delivery services (e.g., Albertsons’ purchase of Plated and Kroger’s merger with Home Chef). Given the intensifying reach of the meal kit market, it was only a matter of time before restaurant operations started thinking inside the box and made these pre-portioned, do-it-yourself meal solutions a focus for menu innovation. 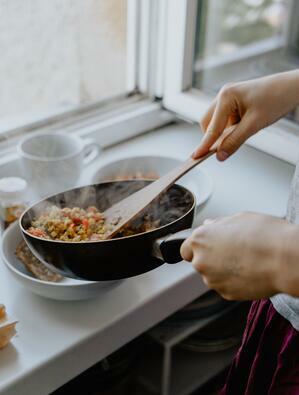 Survey results from the foodservice research firm Technomic show that nearly half of consumers surveyed would purchase meal kits from their favorite restaurant.4 And if those meals are signature dishes available only from the restaurant, all the better. Launched in August last year, Chick-fil-A’s “Mealtime Kits” menu featuring five different chicken recipes proved it had wings in a test flight at 140 Atlanta-area restaurants for $15.89 each. Results were encouraging, with an uptick in sales at the participating locations.1 Customers could order kits at the drive-thru or counter through November. With no ordering ahead, subscription commitment or extra stop at the grocery store needed, Mealtime Kits looks poised for a wider rollout, and similar concepts seem likely to catch on at other quick service chains. Michael Patrick, Chick-fil-A’s Beyond the Restaurant program lead, expressed enthusiasm for the program. “We were really happy with the positive response from our customers,” he said.1 “Full analysis will help us decide when and where we may launch the kits in the future.”1 The Mealtime Kit site includes a form for visitors’ suggestions on where the program should test next. 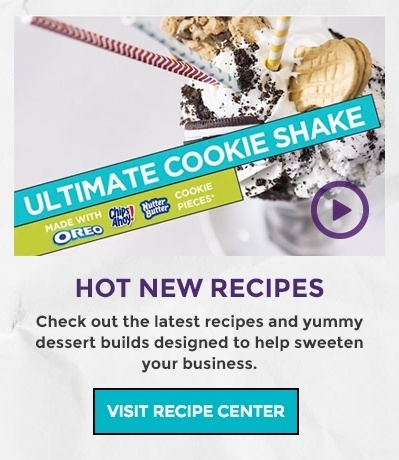 To learn how Mondelēz International can help your foodservice operation develop innovative menu concepts for revenue-boosting meal kits or other programs, reach out below.